We are no longer taking entries for this contest. One entry allowed per person. Additional entries will be disqualified. Entries will be accepted from 10:00 AM CST on April 8 to 5:59 PM CST on April 10. Entries submitted after the close of the contest will not be accepted. This contest is open to legal residents of the United States and Canada who are 18 years of age or older. This contest is void where prohibited by law. This contest is not sponsored or endorsed by Twitter or the NHL. 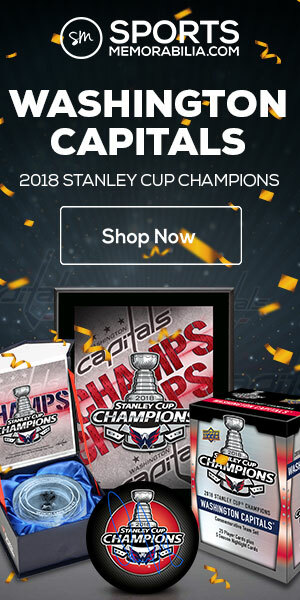 Employees and their families of PuckJunk.com and Fun.com are not eligible for this contest. Winners will be announced once the first round of the 2019 NHL Playoffs concludes. Two prizes will be awarded: A $50 gift certificate to Fun.com (1st Prize) and a $25 gift certificate to Fun.com (2nd Prize). 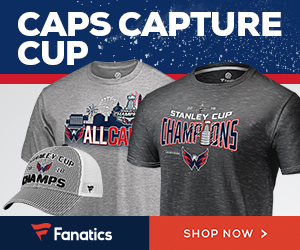 Winner: The contest winner is the contestant who correctly selects the most teams that advance to the second round of the 2019 Stanley Cup Playoffs. If two or more contestants are tied with the same number of most correct answers, then one contestant with the most correct answers will be randomly selected for First Prize. Another contestant with the most correct answers will be randomly selected for Second Prize. Winners are chosen at the sole discretion of the contest administrator. If you have any questions about the contest, email sjb@puckjunk.com.